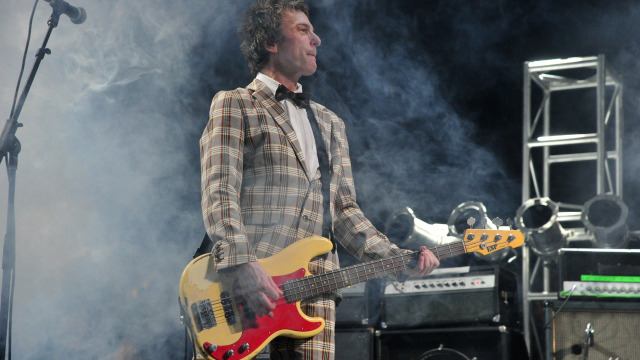 MetalRockNews: Former Guns N' Roses bassist Tommy Stinson about 'reunion': "It will be a healing thing for them"
Former Guns N' Roses bassist Tommy Stinson about 'reunion': "It will be a healing thing for them"
Former Guns N' Roses bassist Tommy Stinson was recently interviewed by The Current about band's reunion, you can read some excerpts below. About Guns N' Roses reunion, he said: "I think everyone kind of knows where I stand with it all. I left it in a good way. I mean, roughly, I actually had to just start turning down tours because I was unable to tour; I got into a position, personally, where my personal life was going to prevent me from doing, I don't know, it must have been about five tours that they called me to do, and I just said I can't do 'em. And at that point, they… I think Axl got to the position where he was, like, 'Okay, so what am I going to do now? 'Cause I don't have a band. Blah blah blah.' So I think it worked out. And I think they'll have fun. It will be a healing thing for 'em, if it works out good. It will be good for them." Pressed on which other members of Guns N' Roses are involved in the reunion, he said: "I don't really know. I know that it's Duff and it's Slash and it's Axl, and that's all I know right now."